Pfc. 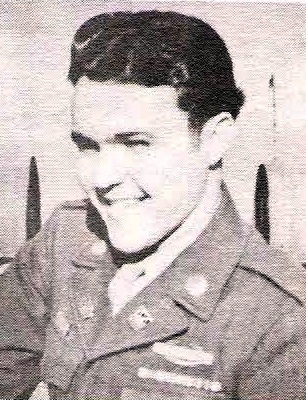 Robert T. Dickson, son of Mr. and Mrs. W. T. Dickson, Loving. Entered Army, 1943, trained at Camp Wolters, Inf. Replacement Training Center. Served in England, France, Holland, Belgium, Germany and Czech. and Austria. Awarded GCM, Victory Medal, ETO Ribbon with 5 Battle Stars, Pres. Cit. Discharged in 1946.